Corresponding author: Department of Rehabilitation Sciences, Faculty of Health and Social Sciences, The Hong Kong Polytechnic University, 11 Yuk Choi Rd, Hung Hom, Hong Kong. Table 1. Participant characteristics (N = 560). Table 2. Partial correlations between the quality of life instrument and external criteria (body mass index; Child Depression Inventory [CDI]; Rosenberg Self-Esteem Scale [RSES]). Table 3. Path coefficients between quality of life (QoL) scores and external criteria of Child Depression Inventory (CDI), Rosenberg Self-Esteem Scale (RSES), and body mass index (BMI). Background/Objective: Overweight and obese children are likely to encounter negative impact on psychological well-being and quality of life (QoL). Hence, for overweight and obese children, measuring QoL could go beyond simply assessing objective medical parameters and cover their physical health, psychological well-being, and social interaction. Generic (Kid-KINDL and Pediatric Quality of Life Inventory [PedsQL]) and weight-related (Sizing Me Up) measures are two major types of QoL measurement instruments; however, little is known about the differences between them. Method: We recruited 569 3rd to 6th graders from eleven schools in Southern Taiwan. In addition to the three QoL questionnaires, the Child Depression Inventory and Rosenberg Self-Esteem Scale were applied. Results: Depression had significantly negative associations with all three QoL questionnaires. Self-esteem was only associated with Kid-KINDL. Body mass index had a significantly stronger relationship with Sizing Me Up than its relationships with PedsQL and Kid-KINDL. In other words, the items related to body size concerns in Size Me Up significantly contributed to impaired overweight/obese children’s QoL. Conclusions: The study further identified the characters and strength of these QoL measures for better suggestions on evaluating physical and psychological issues for overweight/obese children. Antecedentes/objetivo: Los niños con sobrepeso y obesos experimentan problemas de salud con un impacto negativo en su bienestar psicológico y calidad de vida (CV). Las medidas genéricas (Kid-KINDL y PedsQL) y las relacionadas con el peso (Sizing Me Up) son las principales modalidades de instrumentos de medición de la CV; sin embargo, poco se sabe acerca de las diferencias entre ellos. Método: Reclutamos 569 niños de 3º a 6º Grado de once escuelas en el sur de Taiwán. Además de los tres cuestionarios de CV, se aplicó el Inventario de Depresión Infantil y la Escala de Autoestima de Rosenberg. Resultados: La depresión presenta la relación más fuerte con Kid-KINDL, mientras que tiene una asociación negativa con Sizing Me Up. La autoestima sólo se relacionó con Kid-KINDL. Sizing Me Up presentó una relación significativamente más fuerte con el Índice de Masa Corporal que con PedsQL y Kid-KINDL. Conclusiones: El estudio identificó las características e intensidad de estas medidas de CV de cara a mejores sugerencias sobre la evaluación de problemas físicos y psicológicos en niños con sobrepeso/obesidad. Overweight/obesity has gained more and more attention from healthcare professionals in developing and developed countries (Kopelman, 2007; Lin, Strong, Tsai, Lin, & Fung, 2018). The problem also exists in children: the combined global prevalence of childhood overweight/obesity rose by 47.1% from 1980 to 2013 (Lin, Griffiths, & Pakpour, 2018). In brief, the prevalence of overweight/obesity was over 20% in developed countries; over 15% in developing countries in 2013 (Lin, Griffiths, et al., 2018). Taiwan bears the burden of rising prevalence in overweight and obesity among children and adolescents: Over 20% of Taiwanese children and adolescents suffer from overweight or obesity (Kuo et al., 2014; Lin, Su, Wang, & Ma, 2013). Childhood overweight/obesity is linked to cardiovascular problems, type 2 diabetes and adulthood obesity (Brisbois, Farmer, & McCargar, 2012). In addition to the physical consequences of overweight/obesity for children, psychological issues (e.g., high levels of depression and anxiety; low level of self-esteem) are also common among overweight/obese children (Puhl & Latner, 2007). Furthermore, overweight/obese individuals experience social stigma and discrimination which impact negatively on their psychological well-being and eventually their quality of life (QoL) (Farhangi, Emam-Alizadeh, Hamedi, & Jahangiry, 2017). A review article stated that children and adolescents with obesity showed poorer health-related QoL than their peers (Tsiros et al., 2009). Among studies included in the review, few demonstrated medium to large effects sizes. Moreover, there was a negative relationship between increased body mass index (BMI) and children’s QoL by pooling data from 13 studies (Tsiros et al., 2009). The effects of excess weight on QoL have been illustrated as deteriorated QoL in children with overweight/obesity compared to their counterparts with diabetes, gastrointestinal disorders, and cancer (Schwimmer, Burwinkle, & Varni, 2003; Varni, Limbers, & Burwinkle, 2007). The measurement of QoL may contribute to designing public health policy and evaluating cost-effectiveness of treatment effects (Wallander, Schmitt, & Koot, 2001). Children’ physical health, psychological well-being, social interaction and daily living activities are all covered by QoL measures, and both healthcare providers and health policymakers can gain benefits from QoL findings. Therefore, during the last decades, a number of studies have suggested assessing QoL for overweight/obesity populations (Buttitta, Iliescu, Rousseau, & Guerrien, 2014; Kolotkin, Meter, & Williams, 2001). Currently, we have two approaches to assess QoL in overweight/obesity children: generic and specific measures. Generic measures can be used to compare QoL across various diseases/conditions. Moreover, generic measures can be considered useful for different populations to assess the impact of various interventions on QoL (Guyatt, Feeny, & Patrick, 1993). The Pediatric Quality of Life Inventory (PedsQL) and Kid-KINDL questionnaire are examples of generic measures of QoL that have been extensively used to asses QoL among overweight/obesity children (Lin et al., 2013; Varni et al., 2007). Specifically, the PedsQL assesses four domains of a child in his/her health: physical functioning, emotional functioning, social functioning, and school functioning. The Kid-KINDL assesses six domains, including physical well-being, emotional well-being, self-esteem, friend relationship, family relationship, and school functions. However, a major limitation of the generic measures is that they do not assess the characteristics and concerns relevant to a target group (e.g., obesity). Therefore, disease-specific (or condition-specific) measures are needed to cover special information on the diseases and detect small changes over time (Buttitta et al., 2014). Apart from generic QoL measures, specific QoL measures of weight (i.e., weight-related QoL measures, and Sizing Me Up is a good example) can assess patient’s treatment success in weight loss programs and are responsive to minimal clinical changes (Zeller & Modi, 2009). Sizing Me Up is specifically designed with promising psychometric properties to assess the success of weight loss programs in 5-13-year-old children (Zeller & Modi, 2009). Specifically, Sizing Me Up assesses five domains of a child’s health from the weight perspective: physical function, emotional function, teasing/marginalization condition, social avoidance, and positive attributes. Although both generic and weight-related QoL measures have been used to assess the QoL of overweight/obese children, little is known about their similarities and differences. If we look into the domains in both types of QoL measures, we can find some overlap between them in terms of psychological functioning: Kid-KINDL, PedsQL, and Sizing Me Up include subscales on psychosocial well-being. Sizing Me Up was found to be moderately correlated with similar subscales of the PedsQL among obese children in the US by Zeller and Modi (Zeller & Modi, 2009). However, Zeller and Modi did not examine whether Sizing Me Up really outperforms PedsQL in weight-related QoL. Also, their sample was highly motivated to seek treatment for obesity and could not be generalized to community-based overweight/obese children. Additionally, to the best of our knowledge, no studies have compared the Sizing Me Up with Kid-KINDL. As a result, healthcare providers and health policy makers may not be clear whether a generic or a weight-related QoL measure is the best choice for assessing psychosocial burden of overweigh/obese children in a community. To fill in the knowledge gap of the current literature, we compared Sizing Me Up, PedsQL and Kid-KINDL. We assessed the discriminative abilities of these instruments in terms of psychological issues (depression and self-esteem) and BMI among schoolchildren in Taiwan. Based on the literature review mentioned above, we hypothesized that (1) the three QoL measures would be significantly associated with depression and self-esteem; (2) Sizing Me Up would have stronger association with BMI than PedsQL and Kid-KINDL. The Institutional Review Board of the National Cheng Kung University Hospital approved this study, and the data were collected during the spring semester (between March and June) 2010 in Southern Taiwan. Through convenience sampling, third to sixth grade pupils in eleven schools (the total third to sixth grade pupils in the eleven schools were about 2000) were invited to participate in the study. The school teachers first assisted the researchers to disseminate the recruitment information, and those pupils and their parents who were interested in the study further received detailed study information accompanied by an informed consent sheet. After collecting the written informed consents signed by the children and one of their parents (N = 569), the researchers visited the schools to collect the data. The participants were grouped (from 5 to 20) to complete five questionnaires (detailed information is in the Measures section below) under the supervision of a researcher and a teacher in the classroom. Afterward, the children brought a background information sheet home for their parents to complete. The background information sheets were collected one week later. Sizing Me Up is a weight-related QoL instrument with 22 items distributed in five domains: physical (5 items; sample item “Got out of breath and had to slow down”), emotional (4 items; sample item “Felt sad”), teasing/marginalization (2 items; sample item “Were teased”), social avoidance (5 items; sample item “Chose not to go to school”), and positive attributes (6 items; sample item “Like yourself”). Each item was rated on a four-point Likert-type scale from 1 to 4, and the scores were converted into a 0-100 scale, using the formula suggested by Zeller & Modi (2009), where a higher score represents a higher level of QoL. Average scores were calculated for each domain score as well as the total score; therefore, the range of the Sizing Me Up domain and total scores was between 0 and 100. The psychometric properties—including internal consistency (α = .68-.85), test-retest reliability (intraclass correlation coefficient [ICC] = .53-.78)—were adequate or nearly acceptable for clinically obese children (Zeller & Modi, 2009), and similar psychometric results (α = .62-.88; ICC = .65-.89) were demonstrated for the Sizing Me Up Taiwan version (Strong, Lin, Tsai, & Lin, 2017). The internal consistency of the Sizing Me Up in the current study was .85. PedsQL is a generic QoL instrument with 23 items distributed in four functional domains: physical (8 items; sample item “Hard to run”), emotional (5 items; sample item “Felt sad or blue”), social (5 items; sample item “Hard to keep up with peers”), and school (5 items; sample item “Hard to pay attention in class”). Each item was rated on a five-point Likert-type scale from 0 to 4, and the scores were converted into a 0-100 scale: 0 = 100, 1 = 75, 2 = 50, 3 = 25, and 4 = 0, where a higher score represented a higher level of QoL. Average scores were calculated for each domain score as well as the total score; therefore, the range of the PedsQL domain and total scores was between 0 and 100. The psychometric properties—including internal consistency (α = .68-.90), test-retest reliability (ICC = .67-.82), and construct validity of the PedsQL Taiwan version—have been supported (Lin et al., 2012). The internal consistency of the PedsQL in the current study was .90. Kid-KINDL is a generic QoL instrument with 24 items distributed in six domains: physical well-being (4 items; sample item “Felt ill”), emotional well-being (4 items; sample item “Had fun and laugh a lot”), self-esteem (4 items; sample item “Felt on the top of the world”), friends (4 items; sample item “Played with friends”), family (4 items; sample item “Felt fine at home”), and school (4 items; sample item “Enjoyed lessons”). Each item was rated on a five-point Likert-type scale from 1 to 5, and the scores were converted into a 0-100 scale using the same method described in PedsQL, where a higher score represented a higher level of QoL. Average scores were calculated for each domain score as well as the total score; therefore, the range of the Kid-KINDL domain and total scores was between 0 and 100. The construct validity, using confirmatory factor analysis of the Kid-KINDL Taiwan version, was supported (Lin, Luh, Cheng, Yang, & Ma, 2014; Lin, Strong, Tsai, & Lee, 2017). The internal consistency of the Kid-KINDL in the current study was .84. Child Depression Inventory (CDI) is a screen tool to measure depression using 27 items. Each item scores from 0 to 2, and a higher score represents more depression. The psychometric properties including internal consistency (α = .81-.89) and test-retest reliability (ICC = 0.85) were acceptable in the CDI Taiwan version (Lin et al., 2012). The internal consistency of the CDI in the current study was .86. Rosenberg Self-Esteem Scale (RSES) was used to measure the self-esteem of an individual using a four-point Likert scale, and a higher score represents higher level of self-esteem. The psychometric properties of unidimensionality have been confirmed in the RSES Taiwan version (Wu, Lai, & Shih, 2013). The internal consistency of the RSES in the current study was .71. Body Mass Index (BMI) was calculated using the information of height (cm) and weight (kg) obtained from school records. The schools collected the data twice a year: at the beginning of each semester (i.e., around March and October, respectively). Descriptive statistics were calculated in order to describe the sample under analysis including the calculation of mean scores for the investigated QoL measures. Afterward, we analyzed the partial correlations between each external criterion (BMI, CDI, or RSES) and each QoL measure (PedsQL, Kid-KINDL, or Sizing Me Up). In the partial correlations, we adjusted for age and gender. We additionally proposed a model (Fig. 1) to tackle whether each QoL instrument had different specific characteristics. The model included three latent variables representing QoL as measured by the three investigated QoL measures (Sizing Me Up, PedsQL, and Kid-KINDL), each linked to its domain scores as observed variables. Each latent QoL concept was explained by three external criteria (BMI, CDI, and RSES), and we controlled the effects of age and gender on all latent QoL concepts. External criteria (BMI, CDI and RSES) indicated to separate quality of life (QoL) instruments. Note. Age and gender were controlled variables toward QoL instruments. Four observed domains were embedded in PedsQL (physical, emotional, social, and school); six observed domains in Kid-KINDL (physical, emotional, friend, family, self-esteem, and school); five observed domains in Sizing Me Up (physical, emotional, positive attributes, social avoidance, and teasing). Structural equation modeling (SEM) with maximum likelihood estimators was applied to all the models to determine which model performed the best. In addition, full information maximum likelihood estimation was used to account for missing values. We evaluated the fit of each investigated model using recommended thresholds for three fit indices: comparative fit index (CFI) > .90; root mean square error of approximation (RMSEA) and standardized root mean square residual (SRMR) < .08 (Chang et al., 2018; Lin, Griffiths, et al., 2018). We also reported the χ2 test, of which nonsignificant suggests acceptable data-model fit, for all the models. Afterward, we analyzed this model with more detailed analyses by comparing the path coefficients between different QoL latent concepts to the external criteria (i.e., BMI, CDI, and RSES). Specifically, we constrained the path coefficients of different QoL latent concepts to the same external criterion being equal, and used the χ2 difference test to compare the constrained model with the original model. The significant χ2 difference test indicates that different QoL latent concepts have different path coefficients to the same external criterion. For example, we might have a constrained model that constrains the path coefficient of Kid-KINDL to BMI equal to that of Sizing Me Up to BMI, and the original model that freely estimates all the path coefficients. Then, we did the χ2 difference test using the constrained model and the original model. If the χ2 difference test showed significant, the path coefficient of Kid-KINDL to BMI was significantly different from that of Sizing Me Up to BMI. All the data were analyzed using R software, and the SEM was performed using the lavaan package (http://lavaan.ugent.be/) in R.
Nine participants did not complete any items of Kid-KINDL or Sizing Me Up, and their data were excluded for analyses. The retained participants (n = 560) had a mean (SD) age of 10.51 (1.11) years, and about half of them were boys (52.7%). Slightly more than one third of them were overweight or obese (37.9%). Their performance in QoL instruments are presented in Table 1. Participant characteristics (N = 560). Note. CDI = Child Depression Inventory; RSES = Rosenberg Self-Esteem Scale. Overweight is defined as: 8-9 years old boys/girls with a BMI > 19.3/18.8; 9-10 years old boys/girls with a BMI > 19.7/19.3; 10-11 years old boys/girls with a BMI > 20.3/20.1; 11-12 years old boys/girls with a BMI > 21.0/20.9. The partial correlations between the QoL instrument and external criteria (BMI, CDI, and RSES) are shown in Table 2. BMI had moderate correlations with Sizing Me Up (including entire scale and subscales) and weak correlations with PedsQL and Kid-KINDL. CDI had moderate to strong correlations with all three QoL measures, and the strongest correlation was found between CDI and Kid-KINDL. Similar to CDI, RSES had moderate to strong correlations with all three QoL measures, and the strongest correlation was found between RSES and Kid-KINDL. Partial correlations between the quality of life instrument and external criteria (body mass index; Child Depression Inventory [CDI]; Rosenberg Self-Esteem Scale [RSES]). Note. Age and gender were adjusted in all the partial correlations. Our proposed model had all fit indices acceptable (CFI = .91; RMSEA = .068; SRMR = .054), except for the significant χ2 test (p-value < .001). After controlling the effects of age and gender on the latent QoL concepts, both BMI and CDI had significantly negative path coefficients to all QoL instruments, while RSES only had significantly positive path coefficients to the Kid-KINDL (Table 3). Although BMI had significant path coefficients to all the QoL instruments, Sizing Me Up showed a significantly stronger relationship with BMI (path coefficient=-1.24) than did PedsQL (path coefficient=-0.32; χ2  = 49.57; p < .001) and Kid-KINDL (path coefficient=-0.281; χ2  = 68.52; p < .001). Kid-KINDL had a significantly stronger relationship with CDI (path coefficient=0.983) than did PedsQL (path coefficient=-0.71; χ2  = 9.22; p = .002). Also, Kid-KINDL had a significantly stronger relationship with RSES (path coefficient=0.26) than did PedsQL (path coefficient=0.004; χ2  = 7.63; p = .006) and Sizing Me Up (path coefficient=0.03; χ2  = 3.93; p = .047). Path coefficients between quality of life (QoL) scores and external criteria of Child Depression Inventory (CDI), Rosenberg Self-Esteem Scale (RSES), and body mass index (BMI). The study compared psychosocial correlates including depression and self-esteem as well as BMI in two generic and a weight-specific QoL measures among schoolchildren, including those with overweight and obesity. In brief, the present study demonstrated that the three QoL measures provided some different information. Depression was negatively correlated with QoL scores across all three measures, while self-esteem was only associated with the Kid-KINDL. The results of the study add to our knowledge of the weaknesses and strengths in generic and weight-specific QoL measures when assessing the physical and psychological burdens of overweight/obesity among children. As these measures are not necessarily assessing the same aspects of obese/overweight children’s health and functional status, our comparison study can help healthcare professionals to select appropriate instruments to assess obesity-associated QoL, according to users’ needs in domains of interests. As expected, Sizing Me Up showed the strongest association with BMI compared to the two generic QoL measures. However, some negative associations were also observed between BMI and QoL for the PedsQL and Kid-KINDL. Higher BMI has a negative impact on physical, social, emotion and school functions among children and adolescents (Lin, Latner, Fung, & Lin, 2018; Miri et al., 2017). However, the negative impacts of the high BMI are stronger in physical domain than mental domain (Ford, Moriarty, Zack, Mokdad, & Chapman, 2001). Our results demonstrated similar findings in PedsQL (r =-.22 between BMI and physical subscale; = -.09 between BMI and emotional subscale) but not in Kid-KINDL (r =-.10 between BMI and physical subscale; = -.12 between BMI and emotional subscale) or Sizing Me Up (r =-.35 between BMI and physical subscale; = -.36 between BMI and emotional subscale). The items related to physical discomforts, sad feelings, body shape and size concerns in Size Me Up significantly contributed to impaired obese/overweight children’s QoL. Therefore, Size Me Up may be appropriate for obese/overweight children and adolescents. A high rate of mental health problems, including depression, has been documented among obese/overweight children (Braet, Mervielde, & Vandereycken, 1997; Russell-Mayhew, McVey, Bardick, & Ireland, 2012). Weight concerns in children may be manifested as depressive symptoms more frequently in overweight/obese individuals than their normal-weight peers (Erickson, Robinson, Haydel, & Killen, 2000). However, the validity of measuring depression is an issue when developing a pediatric QoL instrument. In one study, measurement properties of four pediatric QoL instruments, including KINDL (Kiddy-KINDL and Kid/Kiddo-KINDL), PedsQL, Child Health and Illness Profile (CHIP), and KIDSCREEN-52 were compared in a large US sample of children who were receiving Medicaid (Kenzik, Tuli, Revicki, Shenkman, & Huang, 2014). That study indicated that both generic measures (viz., PedsQL and Kid-KINDL) used in our study were not fully satisfactory in all psychometric properties. Specifically, PedsOL did not showed satisfactory structural validity. Kid-KINDL showed lower reliability of some domains. The Kid-KINDL also had the problem of convergent/discriminant validity by showing undifferentiated correlation coefficients between homogeneous and heterogeneous testing domains of PedsOL. Nevertheless, our study found a strong relationship between depression and QoL measured by Kid-KINDL. 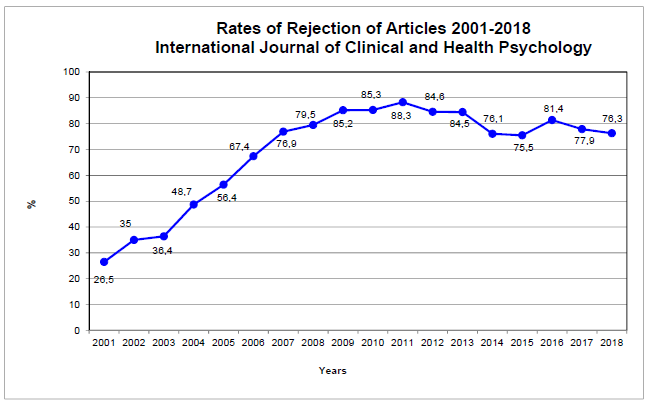 This finding could somehow be justified by another study conducted on children with psychiatric problems, which reported a significant correlation between Kid-KINDL and depression (Martinsen et al., 2016). In terms of the considerable negative association between Sizing Me Up and depression, a possible explanation is that the items of the Sizing Me Up are placed in the specific context of obesity. Therefore, linking emotional problems to the body functions component may be plausible for obese/overweight children. Obese/overweight children often blame themselves for their body sizes and these problems manifest more in a weight-related QoL measure (Schwartz & Puhl, 2003). Based on our findings; the QoL measures can facilitate the detection and discussion of these issues at clinics and hospitals as well as general settings. Therefore, using Sizing Me Up can measure the depression when considering the weight status. Low Self-esteem among obese/overweight children is a common phenomenon (Griffiths, Parsons, & Hill, 2010). The partial correlations were significant and moderate between RSES score and all the three QoL measures. However, findings from our study indicate that self-esteem, as assessed by RSES, was only associated with QoL measured by Kid-KINDL in our proposed model. That is because self-esteem items, a unique content in the Kid-KINDL, were not present in PedsQL and Size Me up. For example, the Kid-KINDL items emphasize the role of social support (i.e., family) which are not clearly presented in both Sizing Me Up and PedsQL. Specifically, the family domain of the Kid-KINDL focuses on the relationships between child and parents (e.g., my parents stopped me from doing certain things). Parental expectations and appraisal about their children’s overweight status may negatively affect children’s body dissatisfaction and low self-esteem (Pierce & Wardle, 1993). A recent review compared commonly used QoL measures in obese children, and recommended using Kid-KINDL for assessing the impact of self-esteem on obese/overweight children’s QoL (Ahuja et al., 2014). Therefore, healthcare providers should be cautioned that the information obtained from Sizing Me Up and PedsQL may not be able to demonstrate the issue of low self-esteem commonly encountered by overweight/obese children and adolescents. This study had some limitations. First, 62% of children in the present study were not obese or overweight. Therefore, the generalizability of our results might be somewhat restricted. Specifically, our findings should be interpreted and applied clinically with cautious when managing potential psychological issues in obese/overweight children. Future studies to mainly recruit children with obese/overweight and with severe obesity are also warranted to enhance the application of our proposed models. Nevertheless, a wide range of weight status in our study provided the variation to examine the use of different QoL measures. Second, discriminative abilities of the QoL measures for psychosocial issues and BMI were assessed in a cross-sectional design. Third, we did not use proxy measures of the three QoL measures, and the results of our child-reported measures might not be generalizable to their parallel proxy measures. Fourth, Kid-KINDL also has obesity module that corresponding well with Kid-KINDL generic questionnaire; therefore, the lack of Kid-KINDL obesity module could be another limitation of this work. Lastly and importantly, the identified associations among proposed QoL measures and concerns in children with obese/overweight were valid only within our specific model. It is unknown whether these results maintain the same when examined using other models (e.g., do not simultaneously include three QoL measures in the same model). Thus, a more comprehensive investigation to ensure the existence of the important findings is suggested. The study identified the different characteristics of three QoL instruments for children. Specifically, we found that Kid-KINDL had the ability to detect self-esteem; Sizing Me Up was sensitive to weight issues. However, all measures reflect the depression for children. Future studies should examine the efficacy of complementary use of Kid-KINDL and Sizing Me Up in assessing physical and psychological impairments associated with obesity in children. B. Ahuja, A.F. Klassen, R. Satz, N. Malhotra, E. Tsangaris, M. Ventresca, et al. A review of patient-reported outcomes for children and adolescents with obesity. C. Braet, I. Mervielde, W. Vandereycken. Psychological aspects of childhood obesity: A controlled study in a clinical and nonclinical sample. T.D. Brisbois, A.P. Farmer, L.J. McCargar. Early markers of adult obesity: A review. M. Buttitta, C. Iliescu, A. Rousseau, A. Guerrien. Quality of life in overweight and obese children and adolescents: A literature review. C.-C. Chang, J.-A. Su, K.-C. Chang, C.-Y. Lin, M. Koschorke, G. Thornicroft. Perceived stigma of caregivers of people with mental illness: Testing Devaluation of Consumer Families Scale Taiwan version. S.J. Erickson, T.N. Robinson, K.F. Haydel, J.D. Killen. Are overweight children unhappy? : Body mass index, depressive symptoms, and overweight concerns in elementary school children. M.A. Farhangi, M. Emam-Alizadeh, F. Hamedi, L. Jahangiry. Weight self-stigma and its association with quality of life and psychological distress among overweight and obese women. E.S. Ford, D.G. Moriarty, M.M. Zack, A.H. Mokdad, D.P. Chapman. Self‐Reported Body Mass Index and Health‐Related Quality of Life: Findings from the Behavioral Risk Factor Surveillance System. L.J. Griffiths, T.J. Parsons, A.J. Hill. Self-esteem and quality of life in obese children and adolescents: A systematic review. G.H. Guyatt, D.H. Feeny, D.L Patrick. K.M. Kenzik, S.Y. Tuli, D.A. Revicki, E.A. Shenkman, I.C. Huang. Comparison of 4 pediatric health-related quality-of-life instruments: A study on a Medicaid population. R.L. Kolotkin, K. Meter, G.R Williams. Quality of life and obesity. Health risks associated with over-weight and obesity. P. Kuo, J.-T. Syu, I.L. Tzou, P.Y. Chen, H.Y. Su, N.F. Chu. Prevalence and trend of dyslipidaemia from 1996 to 2006 among normal and overweight adolescents in Taiwan. C.-Y. Lin, M.D. Griffiths, A.H. Pakpour. Psychometric evaluation of Persian Nomophobia Questionnaire (NMP-Q): Differential item functioning and measurement invariance across gender. Y.-C. Lin, J.D. Latner, X.C.C. Fung, C.-Y. Lin. Poor health and experiences of being bullied in adolescents: Self-perceived overweight and frustration with appearance matter. C.-Y. Lin, W.-M. Luh, C.-P. Cheng, A.-L. Yang, H.-I. Ma. Evaluating the wording effect and psychometric properties of the Kid-KINDL: using the multitrait-multimethod approach. C.-Y. Lin, W.-M. Luh, A.-L. Yang, C.-T. Su, J.-D. Wang, H.-I. Ma. Psychometric properties and gender invariance of the Chinese version of the self-report pediatric quality of life inventory version 4.0: Short form is acceptable. C.-Y. Lin, C. Strong, M.-C. Tsai, C.-T. Lee. Raters interpret positively and negatively worded items similarly in a quality of life instrument for children: Kid-KINDL. Y.-C. Lin, C. Strong, M.-C. Tsai, C.-Y. Lin, X.C.C. Fung. Validating Sizing Them Up, a parent-proxy weight-related quality-of-life measure, with community-based children. C.-Y. Lin, C.-T. Su, J.-D. Wang, H.-I. Ma. Self‐rated and parent‐rated quality of life (QoL) for community‐based obese and overweight children. K.D. Martinsen, S.P. Neumer, S. Holen, T. Waaktaar, A.M. Sund, P.C. Kendall. Self-reported quality of life and self-esteem in sad and anxious school children. S.F. Miri, M. Javadi, C.-Y. Lin, K. Irandoost, A. Rezazadeh, A.H. Pakpour. Health related quality of life and Weight Self-Efficacy of Life style among normal-weight, overweight and obese Iranian adolescents: A case control study. Self-esteem, parental appraisal and body size in children. Stigma, obesity, and the health of the nation’s children. S. Russell-Mayhew, G. McVey, A. Bardick, A. Ireland. Mental health, wellness, and childhood overweight/obesity. Childhood obesity: A societal problem to solve. J.B. Schwimmer, T.M. Burwinkle, J.W. Varni. C. Strong, Y.-C. Lin, M.-C. Tsai, C.-Y. Lin. Factor structure of Sizing Me Up, a self-reported weight-related quality of life instrument, in community children across weight status. M.D. Tsiros, T. Olds, J.D. Buckley, P. Grimshaw, L. Brennan, J. Walkley, et al. Health-related quality of life in obese children and adolescents. J.W. Varni, C.A. Limbers, T.M. Burwinkle. Impaired health-related quality of life in children and adolescents with chronic conditions: A comparative analysis of 10 disease clusters and 33 disease categories/severities utilizing the Peds-QLTM 4.0 Generic Core Scales. J.L. Wallander, M. Schmitt, H. Koot. Quality of life measurement in children and adolescents: Issues, instruments, and applications. P.-H. Wu, Y.-C. Lai, C.-L. Shih. Evaluation of the Rosenberg Self-esteem Scale using the rating scale model. [in Chinese]. Development and initial validation of an obesity-specific quality-of-life measure for children: Sizing Me Up.